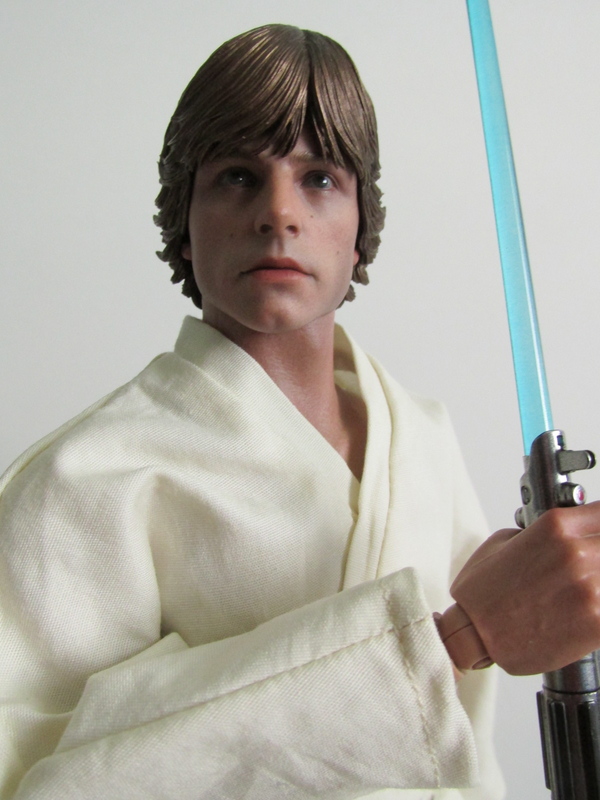 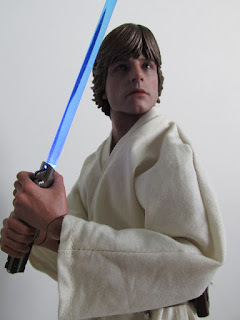 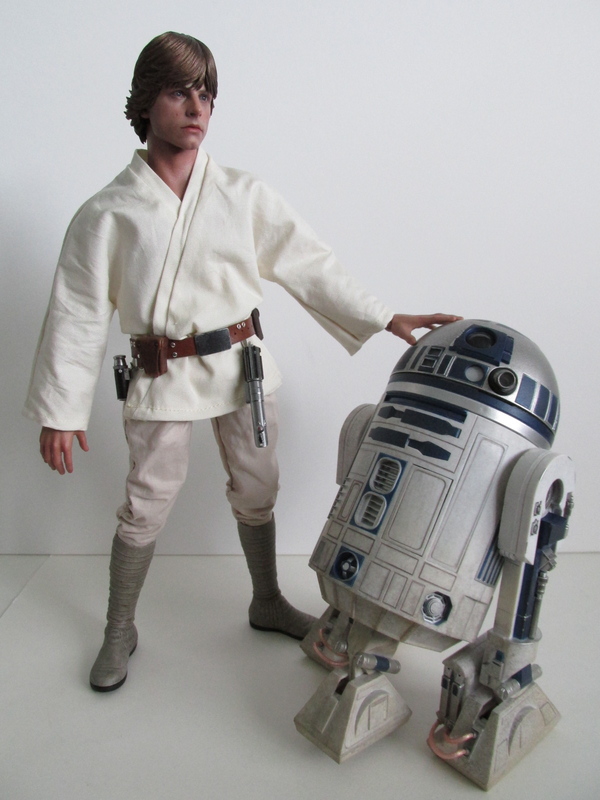 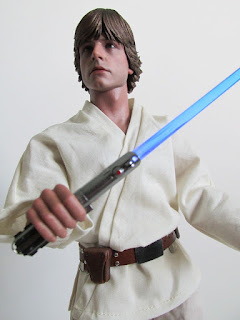 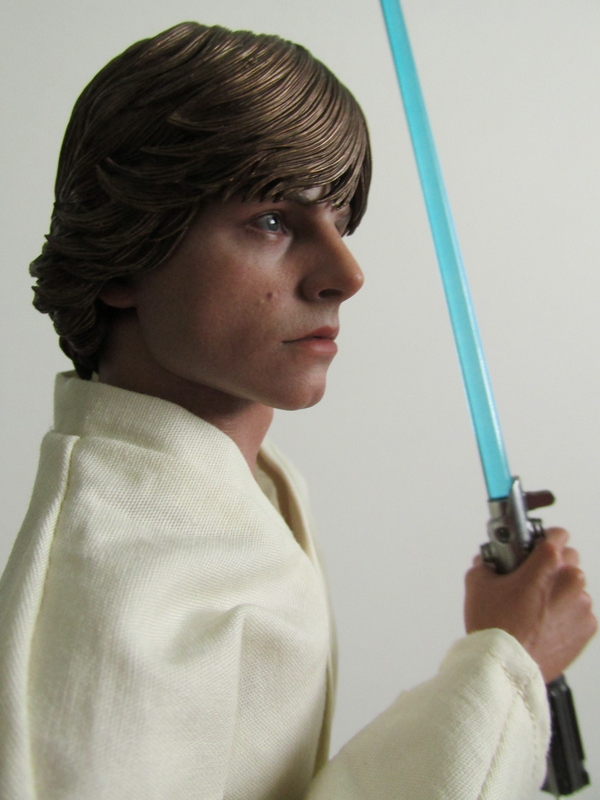 Following the release of Darth Vader, Hot Toys has also released Luke Skywalker. 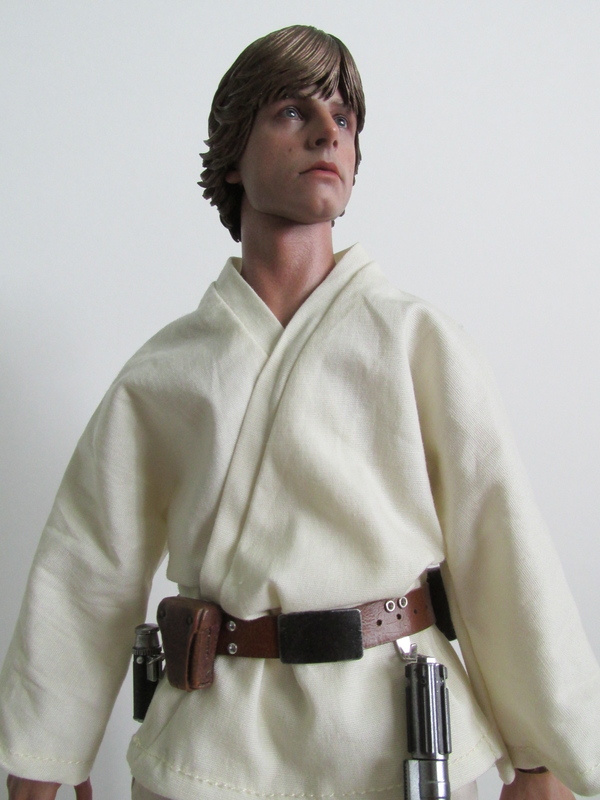 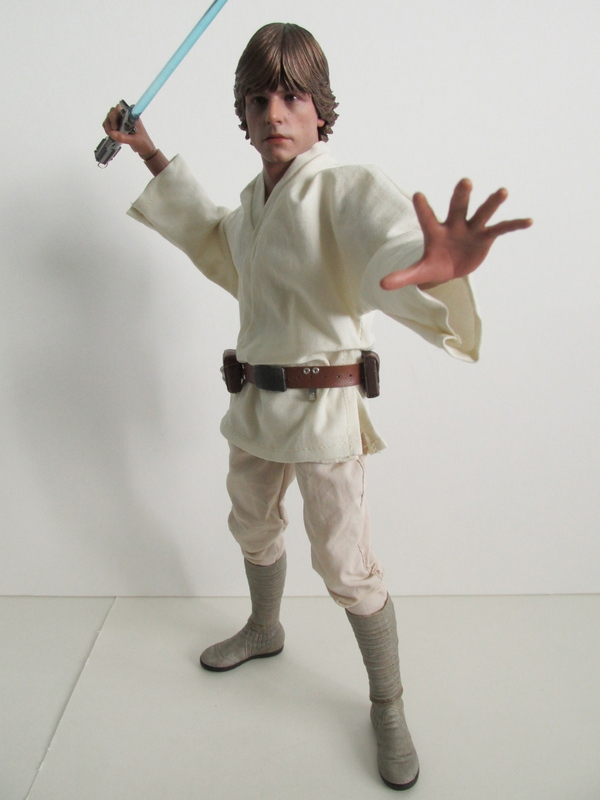 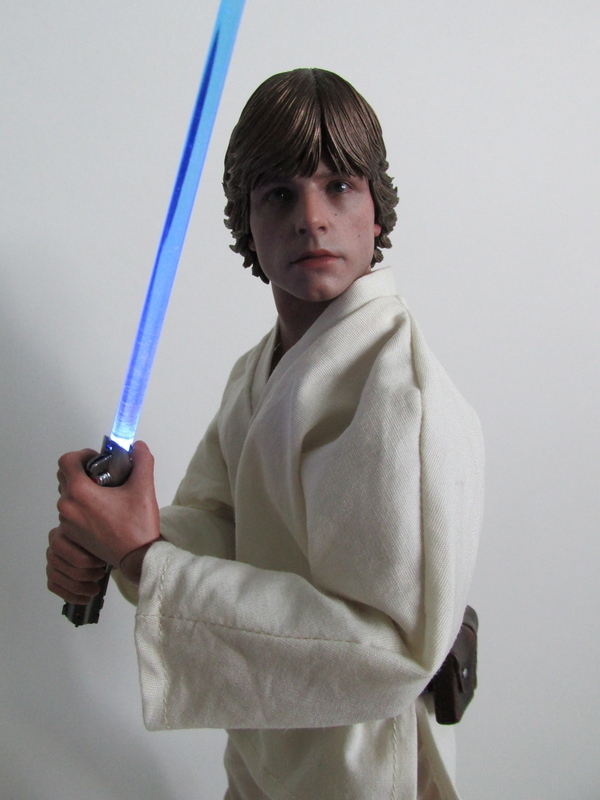 Luke is based on his appearance from Episode IV: A New Hope and comes with accessories based from this movie. The Exclusive in this release is the Storm Trooper belt, Storm Trooper blaster rifle, and grappling hook. 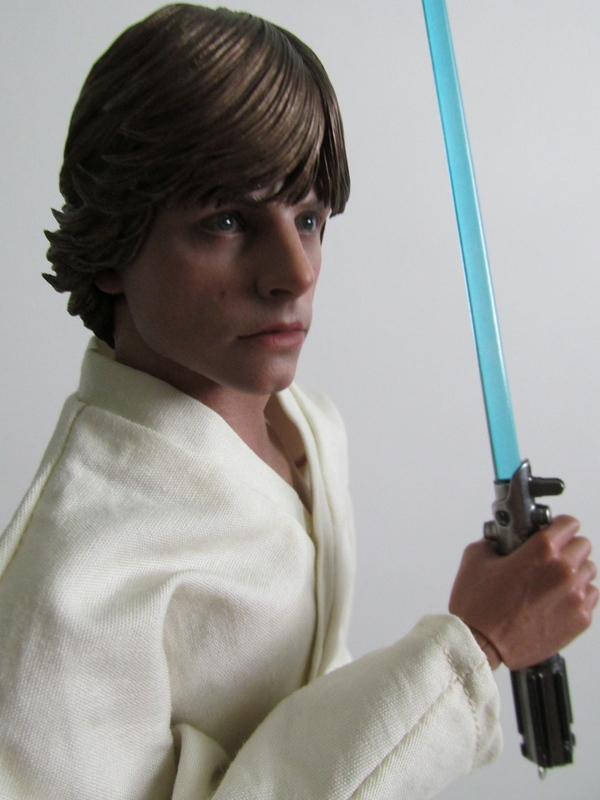 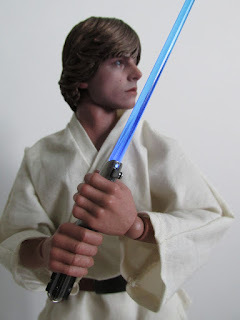 I'd say this is a pretty good sculpt of Mark Hamill, and I'm pleased with the overall figure. His expression looks good and more importantly this is a plausible representation of the character, unlike some of Hot Toys's more recent releases with characters with not the best expressions or representations. 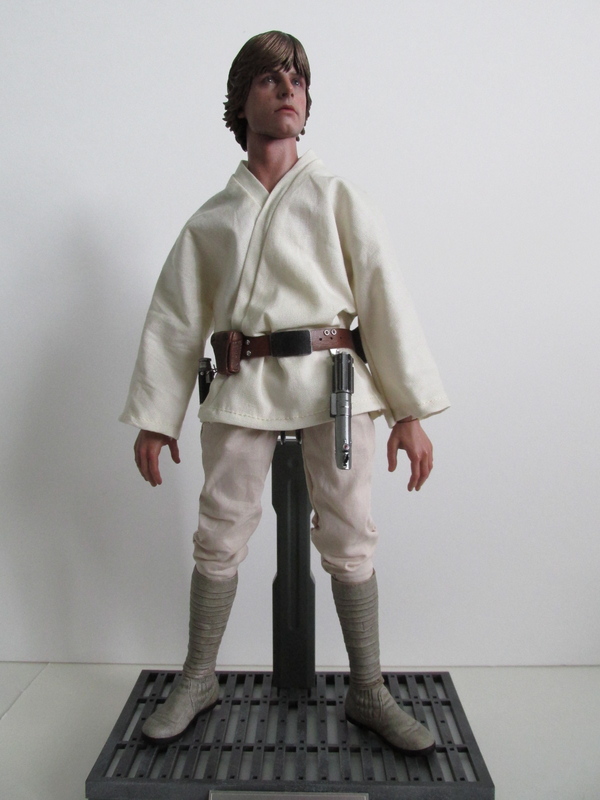 Unlike other Star Wars figures, Luke comes with quite a bit of accessories. 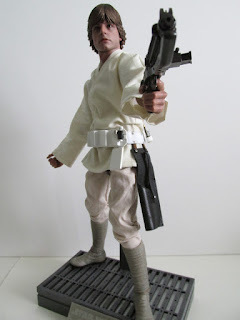 He comes with a poncho, sun hat, goggles, giant rifle, helmet with blast shield down, practice ball, non light up light saber, light up light saber, Storm Trooper belt, blaster rifle, grappling hook, binoculars, cylinder, base, and the usual set of hands. While I do appreciate all these accessories, I'm feeling that most of these display options are not the way I would display Luke. 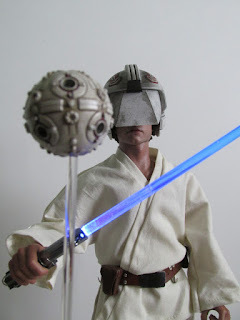 His practice ball display looks great and is iconic to the movie, but doesn't strike me as a good display option since you can't see his face. Another interesting accessory they added was the poncho costume. 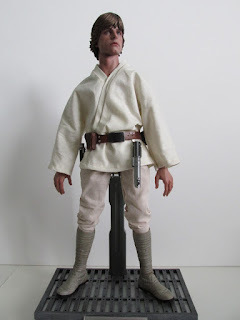 I'm not a Star Wars expert so I can't say for certain but this whole costume does not show up in the film. I think it was from a deleted scene, but you do see Luke wear only the poncho when he and Obi-Wan walk up to the Millenium Falcon. 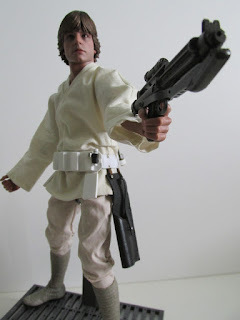 The sun hat, goggles, and giant rifle are not seen in this scene or any other part of the movie. 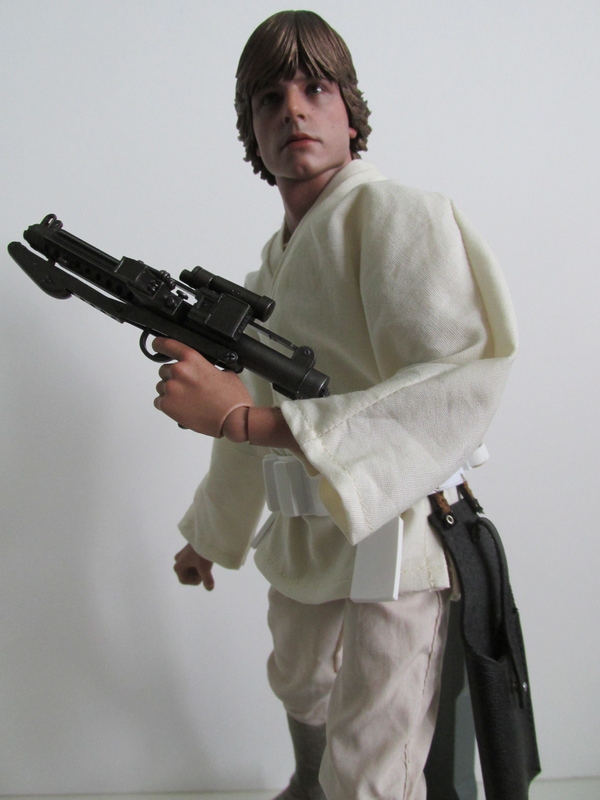 I'm not a hundred percent sure why this costume was added to this figure, but I guess Hot Toys felt it was right? By itself, the poncho is a great look, but again probably not how I will display Luke. I will say the articulation on this figure is quite good mostly because his costume does not inhibit his movement. 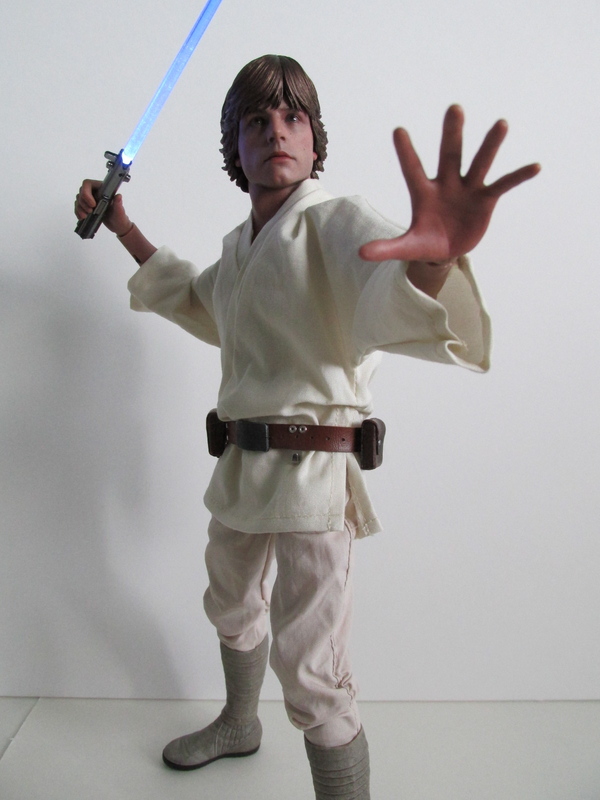 The only tricky thing to posing him is making sure his top doesn't look too stiff. At times, his top can look too angular or awkward simply because of the design of the top. 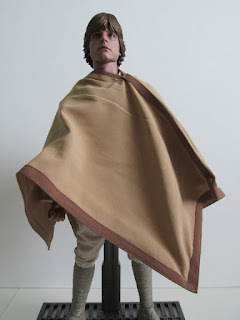 With some finessing and imagination, you can easily fix the top to make it drape more naturally. The other thing to note is that the grappling hook does not come out. 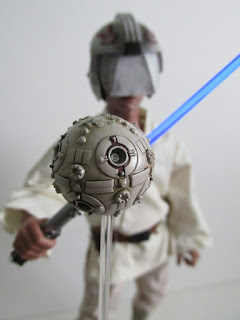 The instructions note to not take it out, which is kind of a bummer. Still, I'm okay with not taking it out. 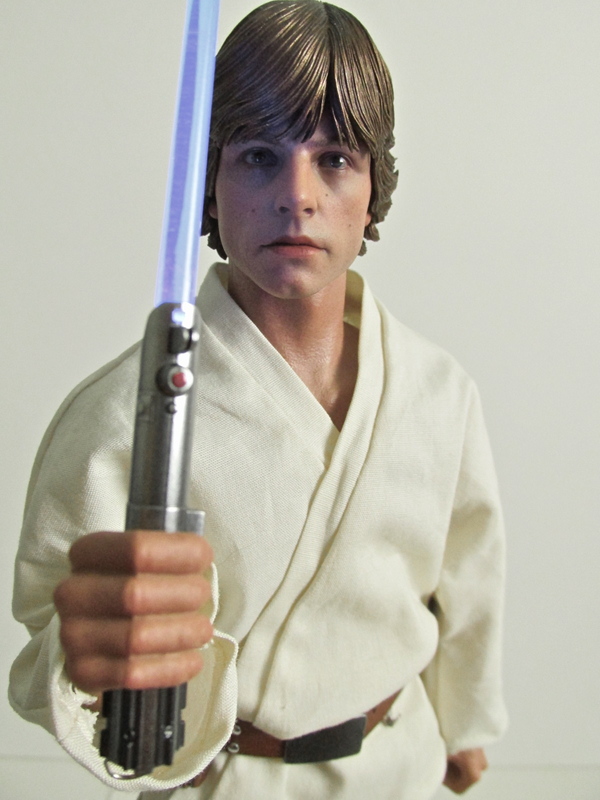 Star Wars fans don't need to hesitate on this release. At this point, you will probably love this figure or you are on the fence...because of potential future releases of Luke. With so many costume changes for this character, it is up to you to decide which costume and film you want your Luke from. 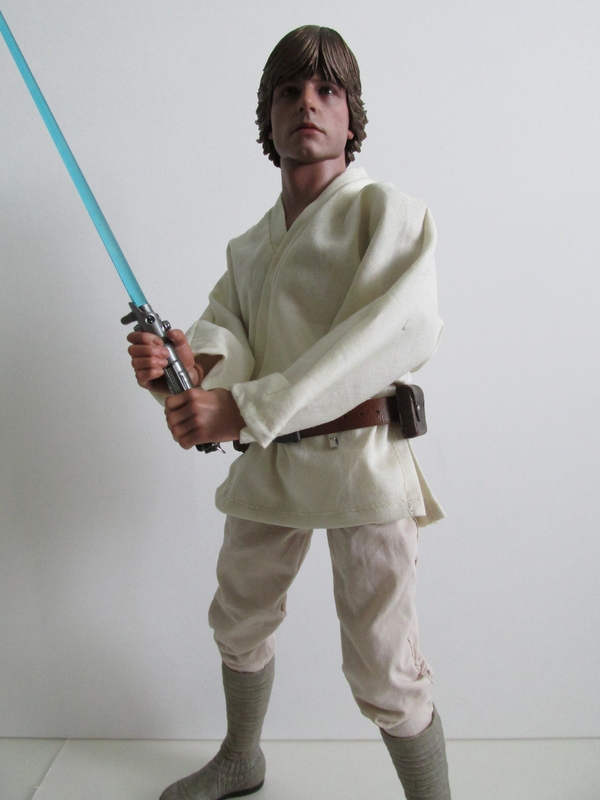 I myself am content with this figure and like Darth Vader will probably not get any other version.